The crews and locomotives sent out to clear the White Pass & Yukon Route railway line in the spring encounter some impressive drifts down Lake Bennett. 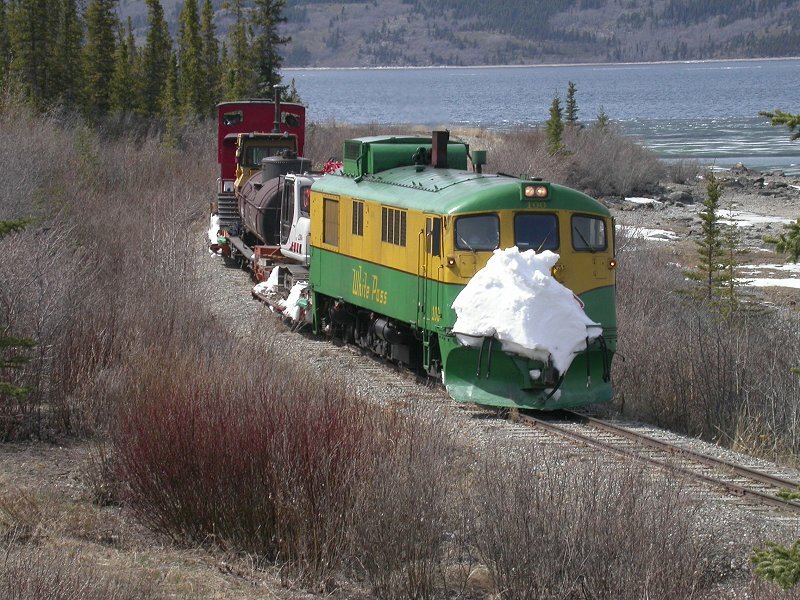 Here, one of the GEs returns to Carcross on May 11, 2004. For more information about the WP&YR, see RailsNorth.com.